Simon Brown is a dreamy artist, a nostalgic poet, and an amused demiurge who gives old objects back their soul by inventing another story. 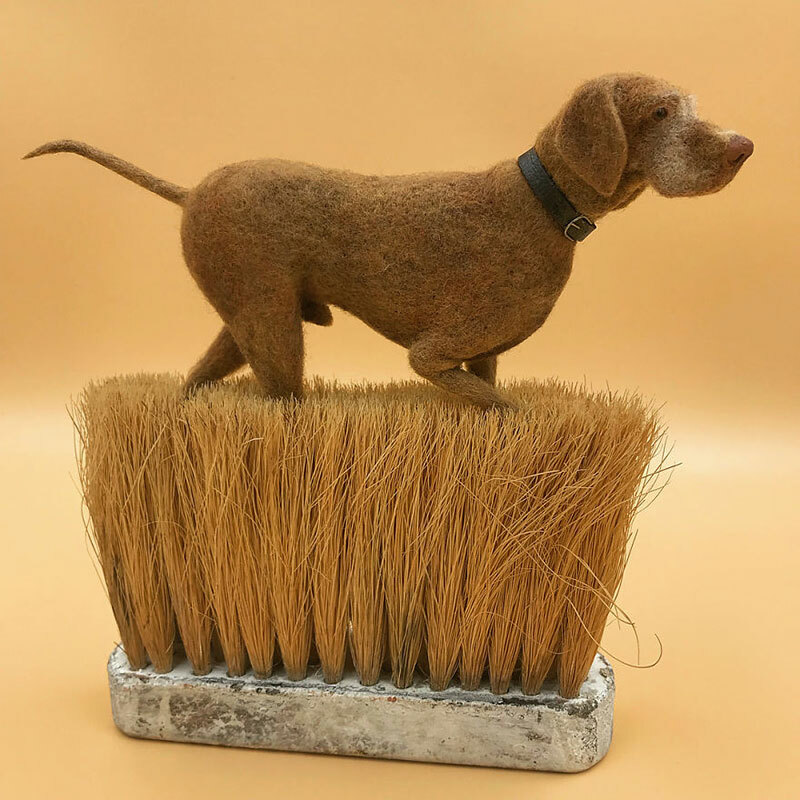 He explains how to recover old brushes, with teeth, shoes or hair, from those to which no one pays any attention anymore, and gives them new life by writing them in rural micro-histories, incorporating animals sewn with wool. In this way, he recreates a narrative in which country dramas are created and unravelled, between danger, exaltation, curiosity and humour. In addition, these materials are recycled or recyclable, recalling the cyclical nature of the materials that make up our daily lives.